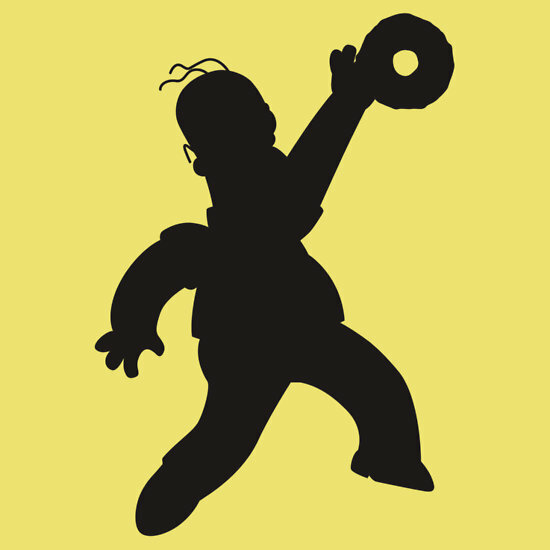 Homer dunking a donut like a star basketball player with major hops. I guess I can see Homer getting up high to throw a donut dunk down if it’s like a rebound and he’s trying to keep the donut from falling into the hands of his opponents. As he’s skying and tussing the donut goes through the hoop. Then he eats it.